I think Bobbi Brown is one of those remarkably successful women, who many of us can, at least internally, relate to without feeling intimidated by the scope of her professional achievements. She is a make-up artist, who for over 25 years pioneered the ‘natural make-up’ look, creating the products that once used, you kept on re-purchasing. Her tutorials seemed like chats with an old friend, full of practical advice and tips that built up your confidence. Her books showcased make-up in its practical glory and application techniques that were fairly easily replicated in the sanctity of your own bathroom (during one of my first BB makeover at Selfridges, the make-up artist did half of my face and then guided me to do the other half by myself – an experience that was novel at the time and that still remains vivid in my mind, even though many years have passed since then). Bobbi’s tips and recommendations were helpful to women of any age or race. She was as realistic about giving advice on teen skin, as she was sharing tips with women of the golden age. She was inclusive before that word became a marketing slang, yet she never behaved like a ‘celebrity’. Here was a wife and a mother who loved her job, loved helping women and trained other make-up artists, so they can be her rightful brand ambassadors around the world. In turn, make-up artists who worked at Bobbi Brown counters around the world genuinely hero-worshipped her and her brand became synonymous with being comfortable in your own skin. And then in 2016 Bobbi left Bobbi Brown Cosmetics for good (she sold her brand to Estée Lauder in 1995, but stayed on as chief creative officer). I, for one, felt bereft, wondering what would happen to her namesake brand and to her. Has she simply got tired ? Or just walked off into the sunset to enjoy life with her husband, now that her three sons were grown-up? As the new team swooped in, the counters changed, as did the packaging. My favourite products got discontinued, only to be replaced with millennial-friendly packaging. Even advice I got at Bobbi Brown Cosmetics counters changed – I started feeling like an alien at the counter of a brand that I have been using since my youth and without which I can’t imagine my own make-up evolution. Yet there was no actual word from Bobbi about her next steps or plans. Radio silence ruled the beauty waves. In the meantime, quietly but with determination, Bobbi refused to let her past successes define her future – instead she took stock & focussed on new horizons. 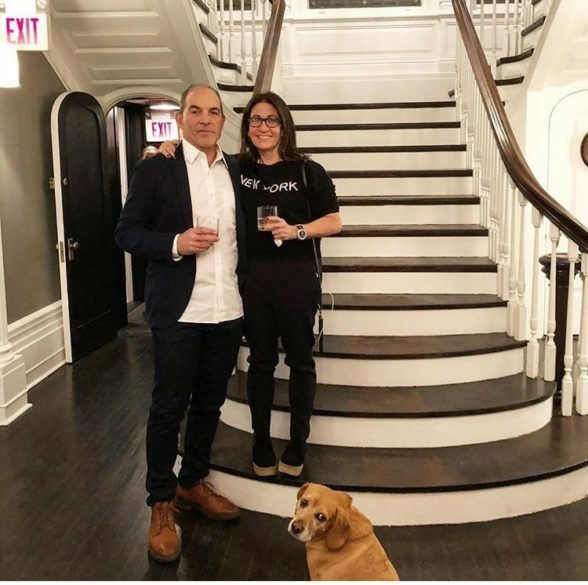 She bought and refurbished a hotel called ‘The George Montclair’ (‘where lifestyle & comfort meet’) in New Jersey with her husband and welcomed first customers over a year ago. She started recording Podcasts called ‘Long Story Short’. She trained as nutritionist. 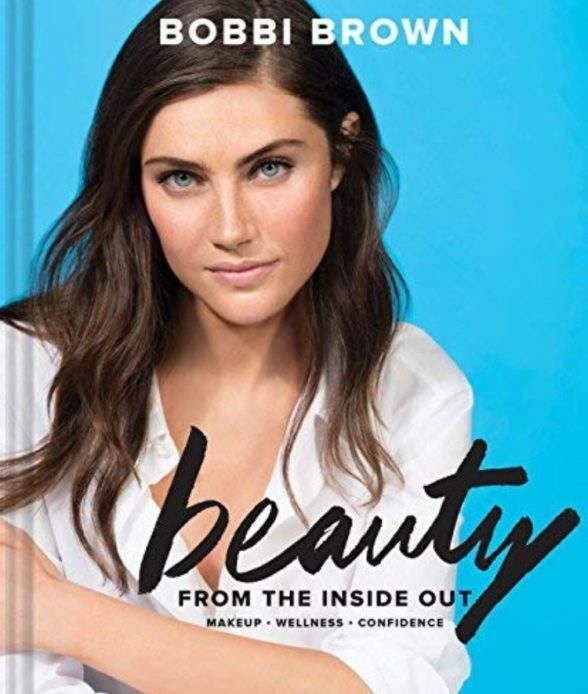 She published a new book ‘Beauty From The Inside Out’ that shared not only her beauty secrets, but had fitness and nutrition advice, as well as contributions from the experts in the variety of wellness and wellbeing fields. Earlier this year Bobbi also launched Evolution 18, a range of accessibly priced supplements aimed at all kinds of women, young & older, confident & shy, stay at home mums or busy professionals. She is prolific on Instagram (@justbobbibrown) and has her own website and Just Bobbi editorial. Yet she still remains familiar – a make-up artist that I came to love since my father brought me BB make-up from a NY business trip when I was in my early twenties; I took my eldest niece for her first make-over at Bobbi’s counter in London and I certainly would use Bobbi’s manuals when my daughter becomes older and starts becoming more interested in make-up. Imagine my unbridled delight, when Bobbi kindly agreed to answer my questions and the answers that I will share below are everything and more (!) of what I secretly was hoping them to be. Past, Present and Future coming together seamlessly. One incredibly fascinating woman who doesn’t rest on her laurels, continuing her own evolution and helping other women evolve too. Galina: What made you leave Bobbi Brown Cosmetics after 25 years & how do you feel about it now, when some time has passed to allow you to reflect on things? Bobbi Brown: I was ready to be an entrepreneur again and to be in charge. I am extremely grateful to have the opportunity to reinvent myself, and try new things. Galina: What made you decide to train as a certified health coach and was it challenging to become a student again? Bobbi Brown: For me, health and wellness is nothing new. I have been interested in, and very curious, when it comes to what foods to eat to look and feel great. It felt like a natural way to combine what I know as a beauty expert, with my passion for wellness. Galina: Your latest book, ‘Beauty From The Inside Out’ is quite different from the other books that you have published – what’s the inspiration behind it? Bobbi Brown: This book is about three things: Wellness, Confidence, and of course, Makeup. A lot of it is based around the foods, nutrients and supplements that will support health and beauty. And the makeup tips were modern, with a focus on beautiful and healthy skin. Galina: What does ‘holistic lifestyle’ mean to you? Bobbi Brown: For me, a holistic lifestyle is how you live your life and what habits you incorporate into your daily practices. It all matters: work, happiness, physical activity, and relationships with your loved ones. Galina: Looking back to when your boys were younger, can you share the tips or things that helped you balance family and professional commitments? Bobbi Brown: I’m not entirely sure how it all worked. It was a partnership with my husband, who is a spectacular father and husband. I didn’t do everything I was asked to do either. I made sure I was at the school meetings, doctor appointments, and sports activities whenever I could be. Galina: What or who inspired you to launch ‘Beauty Evolution’ and which hat – a hotelier with ‘The George’, ‘Just Bobbi’ editorial, podcaster ‘Long Story Short’ or founder of ‘Evolution 18’ supplements is most challenging and enjoyable right now? Bobbi Brown: I wanted to create a lifestyle brand, and it became Beauty Evolution. I like all of it. I like having the mix and the ability to find opportunities that connect all my various platforms to support the lifestyle brand. Galina: Why did you call your supplement brand ‘Evolution 18’ and what makes your products different from the ones already available in wellness marketplace? Bobbi Brown: The name is a combination of “Evolution” and the address of our photo studio in Montclair. I really saw this brand as the next evolution of beauty and wellness, converging the two categories. The product formulas are designed to complete a healthy lifestyle, and help with everything from energy to dry skin. Galina: What are the things that allow you to remain sane and feminine in our somewhat crazily-paced and fraught times? Bobbi Brown: I chose to be family-focused, which keeps me balanced. 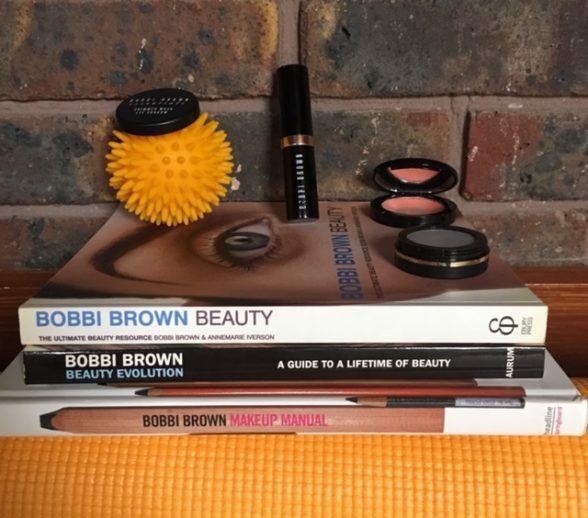 Galina: Do you still use Bobbi Brown Cosmetics? Bobbi Brown: I am using more clean makeup on myself personally, and I am really enjoying using other brands in my professional kit. Galina: What do you think of the ‘clean beauty’ phenomenon and do you use natural skin/hair/bodycare products? Bobbi Brown: I mostly use clean products on myself and even including what I use to clean my home. I have loved seeing so many clean beauty brands hit the market, and I think we are going to continue to see more of that. Consumers are paying attention to the ingredients in their products in a new way, and brands have to answer to that and be transparent. Galina: What are the five beauty/make-up products you can’t leave without? Bobbi Brown: Moisturiser, a brown pencil (to line and fill in brows), lip gloss, a blush stick, and mascara. Galina: What were the book/s and the movie/s that made a lasting impression on you lately? Bobbi Brown: I really loved reading Michelle Obama’s “Becoming”. My favorite movie of the season was “A Star is Born”. Lady Gaga looked beautiful with a makeup-free face, and gave a spectacular performance. Galina: How do you relax and unwind? Bobbi Brown: I could do a better job of it, honestly. I do my best relaxing on vacation in the Bahamas with a tequila. Galina: What qualities are important for a successful beauty/wellness entrepreneur? Bobbi Brown: Passion, determination, curiosity and focus. Galina: Who are the people who helped shape you as a woman and a professional? And who are the living women that you admire? Bobbi Brown: My mother, for giving me the tools to do what I love and my Aunt Alice, for giving me an example of being sensible and strong. I admire Gloria Steinham, for being fearless. Galina: Are you a prolific social media user or do you limit the time you spend on social channels? Bobbi Brown: Pretty much I’m all Instagram, all the time. Galina: Do you still read the magazines or do you prefer digital versions? Bobbi Brown: I definitely still like the feeling of picking up a good magazine. Galina: What beauty treatments, fitness practises or wellbeing rituals do you rely on to make you look & feel good? Bobbi Brown: I love yoga, riding on my Peloton, and a good walk. I also love a great massage. Galina: How scary is to start a new business in your 60s compared to when you are in your 20-30s? Bobbi Brown: It’s actually way easier. I am smarter, quicker, and am having much more fun this time around. Galina: Do you think we need to take supplements, if we eat a balanced diet? And what supplements do you recommend to modern women, who live in the city? Bobbi Brown: Supplements should be treated as supplements to a healthy diet, not a substitution. We all need things that might be hard to get by eating food alone. I take fish oil, vitamin D, magnesium, and collagen regularly. Galina: With the Me Too Movement, many women are starting to burn bridges when it comes to mankind. How comfortable was your experience working within the beauty industry where many prominent positions were and are still taken by men? Bobbi Brown: I became very comfortable after years of experience sitting in a boardroom with men. I learned that I am best in these situations when I am being myself. I was never afraid to give my opinion when I did not agree. Galina: What does ‘beauty’ mean to you? Galina: What makes a woman beautiful in your eyes and what are the benefits of ageing when it comes to female beauty? Bobbi Brown: To me a woman is her most beautiful when she is comfortable in her own skin. P.s images in this post are courtesy of Bobbi Brown, other than the two with her books that I took.